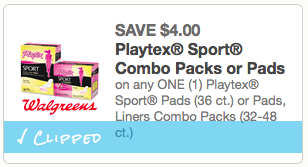 $4/1 Playtex Sport Combo packs or pads print it straight from your cell phone to a wireless printer! Print your coupon now, while I go looking for deals! Let me know if you find something!